Added by Deborah Baber-Savalla on March 24, 2018. VENTURA, CALIF. – The Museum of Ventura County has announced that the exhibit In High Style: The Photography of Neal Barr will be extended through April 14. The exhibit’s extensive collection of Barr’s iconic photographic images leads the viewer through his extraordinary life and career, from his early beginnings in Ventura, CA to his fashion career in New York City and back again to Ventura. Barr will also present a gallery talk on April 4 from 1:30-2:30 p.m., providing a rare opportunity to hear the stories behind the scenes of his most interesting and at times provocative photographs. The gallery talk is included in the general museum admission. 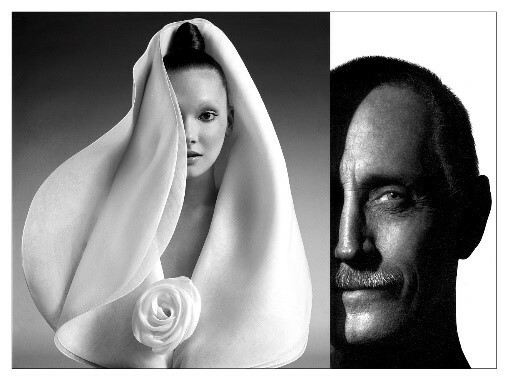 Barr, whose extraordinary career has spanned 50 years, started in Ventura before moving to New York City in 1958, where he landed his first job as assistant to fashion photographer Ray Kellman, and later worked for Wilhela Cushman, fashion editor of Ladies’ Home Journal, and for fine art and fashion photographer Irving Penn. Barr went on to launch his own studio, photographing some of the world’s most famous faces, including Warren Beatty, Sophia Loren, designer Halston and boxer Cassius Clay for top publications such as Harper’s Bazaar, Ladies’ Home Journal and Sports Illustrated. More recently, Barr moved his studio back to Ventura and has been working on a comprehensive book documenting women’s fashions of the 1920s. He was honored by Brooks Institute of Photography as 2015 Distinguished Alumnus. For more information visit venturamuseum.org or call 805-653-0323.